Jack is back, in an all-new diorama! 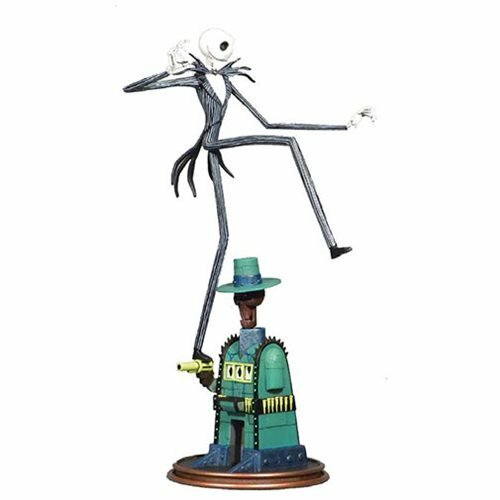 The hero of Tim Burton's Nightmare Before Christmas, Jack Skellington stars in this PVC statue, capturing a scene from his climactic raid on Oogie Boogie's lair. Stepping over a skeletal cowboy slot machine to save Sally and Santa from the spooky sack of insects, Jack balances on one foot in this beautifully balanced sculpt by Cortes Studio. Based on a design by Joe Allard! Packaged in a full-color window box.